How great is the feeling of biting into a juicy, ripe peach on a hot summer day. 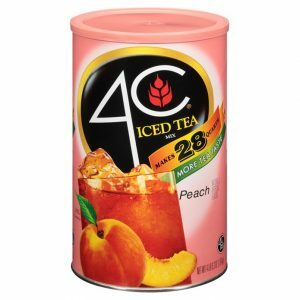 You can have that all year long with the refreshing, peachy taste of 4C Peach Iced Tea Mix. 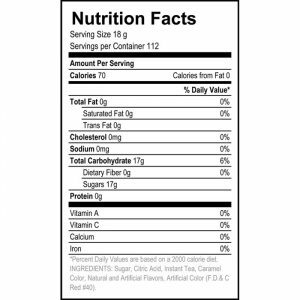 A delicious blend of black tea,real sugar and peach flavor. Yum! Makes 28 quarts and is packed in an easy-open canister complete with a measuring scoop. How great is the feeling of biting into a juicy, ripe peach on a hot summer day. 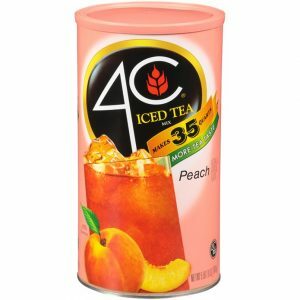 You can have that all year long with the refreshing, peachy taste of 4C Peach Iced Tea Mix. 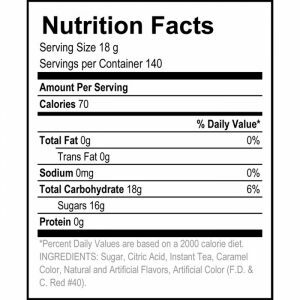 A delicious blend of black tea,real sugar and peach flavor. Yum! Makes 35 quarts and is packed in an easy-open canister complete with a measuring scoop.